We take the challenge out of cooking gluten-free pasta with our oven-ready, no boil lasagna noodles! At the same time, these noodles elevate your homemade casserole with intense garlic and fresh chive flavors right in the noodle! 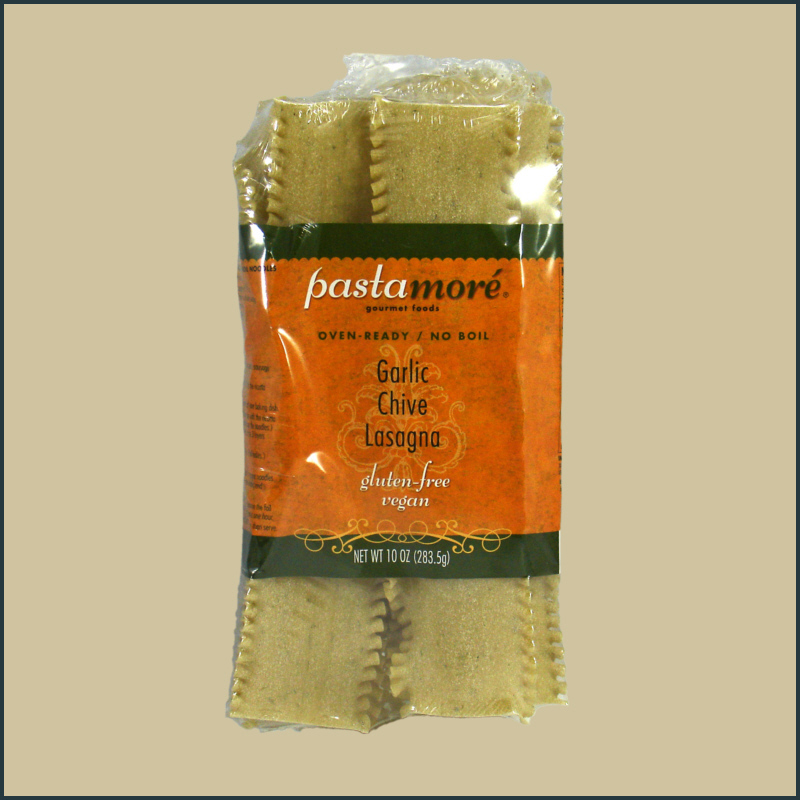 One package has enough pasta for a 9" x 13" baking dish. 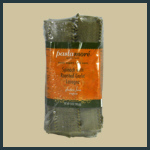 Our lasagna pasta sheets are oven-ready, meaning you do not need to boil them before preparing your lasagna casserole. They come 12 noodles to a package, in other words a standard 9” x 13” baking dish sized lasagna. There is a handy tested recipe for traditional lasagna included in the package, or use as you choose. Lasagna noodles are wide, flat-shaped, and possibly one of the oldest types of pasta! Lasagna noodles are usually used in a baking dish made with several layers of lasagna sheets alternated with sauces and various other ingredients. The challenge of cooking gluten-free pasta is gone with our oven-ready, no boil lasagna! 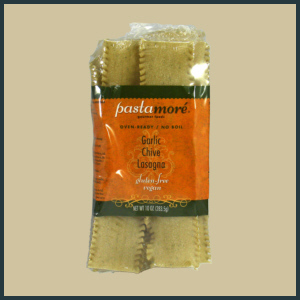 This version offers classic green spinach with rich roasted garlic pureed into the noodles! One package is 12 sheets, making for a 9 x 13 baking dish sized casserole.